Mayor Bill Peduto announced Wednesday that the city will invest $1 million to address concerns of high lead levels in Pittsburgh residents’ water. 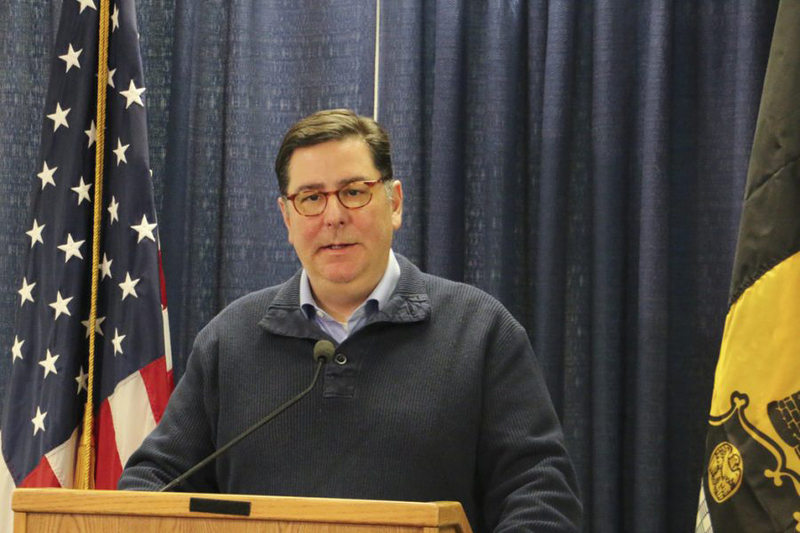 The city, in conjunction with Peoples Natural Gas Company and the Pittsburgh Water and Sewer Authority, will invest the money to equip PWSA customers with free water filters to combat high lead levels in residents’ water supplies, according to a press release from Peduto’s office. The release did not announce a specific timeline for the distribution of the faucet filters, but did say the PWSA will prioritize giving filters to residents whose service lines test at or above 10 parts per billion for lead. The PWSA also estimates that 25 percent of Pittsburgh residencies have lead in their service pipes but they do not have an estimate of how many homes are above the 10 ppb limit. According to the PWSA’s infographic about lead water levels, Pittsburgh’s residents can order free lead testing kits from the organization. Lead in Pittsburgh’s water does not stem from the water main lines, according to the PWSA. The contamination instead comes from the presence of lead in service lines that connect homes with water mains underneath city streets. The service lines can also be affected by corrosion causing lead contamination. While lead paint was banned from use in 1978, lead pipes weren’t banned for another eight years, so some service lines still contain lead to this day. In response to gradually rising lead levels, the PWSA revealed in early 2016 it was changing the treatment of the authority’s pipes. The change came as a surprise to Pennsylvania’s Department of Environmental Protection, which is supposed to be notified whenever a water authority makes changes to water treatment. To follow up, the DEP ordered the PWSA to undertake a round of lead testing. The results, released over the summer, showed that the top 10 percent of households had lead levels which were 22 parts per billion from tests of 100 PWSA customers. That result is above the 15 ppb EPA action level — the level at which the EPA requires government agencies to make adjustments to the water. According to the Detroit Free Press, Flint, Michigan, had lead levels around 20 ppb for the first half of 2016. In response to the results, the DEP ordered the PWSA to begin replacing 7 percent of lead service lines and hold public meetings to inform the public about lead in their water. The PWSA plans to provide free lead service line replacements for low-income residents beginning this spring.